Deputies shot and killed Mark Gago, who had already killed his parents, girlfriend and infant daughter, as he attacked his girlfriend's 8-year-old daughter. 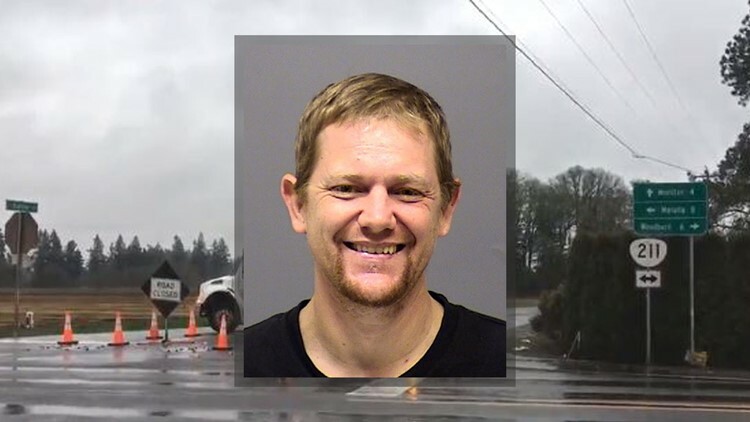 CLACKAMAS COUNTY, Ore. — Mark Leo Gregory Gago used an ax and knives to kill his parents, his girlfriend and their infant daughter in a "horrific" string of murders late Saturday night in unincorporated Clackamas County, according to the sheriff's office. Deputies shot and killed Gago, 42, while he was attacking his girlfriend's 8-year-old daughter, deputies said. The Oregon State Medical Examiner completed autopsies on the four victims — Olivia Gago, 9 months old; Shaina Sweitzer, 31; Jerry Bremer, 66; and Pamela Bremer, 64 — and the results were released Tuesday afternoon. All four died of homicidal violence. Jerry Bremer died of blunt-force trauma and sharp-force trauma. The other three died of sharp-force trauma. The murders were committed at a home the family shared in between Woodburn and Canby. Authorities described the scene as "horrific." "I've talked to investigators, 20-year veterans, and they're saying this is a shocking scene," said Clackamas County Sheriff's Office Sgt. Brian Jensen. Deputies arrived at the home, located in the 32000 block of South Barlow Road, at about 10:15 p.m. Saturday. They found Gago attacking the 8-year-old girl, police said, and deputies at the scene shot and killed him. The 8-year-old child, named Hailey, was saved. She is Sweitzer's daughter from a previous relationship, according to the Associated Press. Hailey's family released a statement through the sheriff's office on Monday thanking people for their support. "We want to thank the public for the outpouring of love and support you have shown for Hailey. Your thoughts and kind words have been a great comfort to her. We are now, turning our focus to Hailey’s care and treatment and ask you to please respect her privacy as she starts down her path to healing," the statement said. Hailey and an adult roommate, identified by the sheriff's office as Tracy Burbank, were taken to a local hospital for treatment, according to police. A neighbor told KGW that Gago used an ax. The neighbor said Burbank, who rented space in the home, came running to his house. She was dazed and in pain. The neighbor then called 911. "The scariest part for me was waiting for the police to arrive and not knowing if this guy was waiting for the victim that was in my house," he said. Burbank told the neighbor that Gago, who appeared high, attacked her with an ax which she was able to wrest away and escape, the neighbor said. Burbank knew Gago from grade school. She said he had just gotten a new car and a job and appeared to be in a good mood Saturday night. In a statement released by the sheriff's office, Burbank said, "I appreciate all the support I have received in the last few days. I ask that you please respect my privacy while I look for a way to move on with my life." In August 2018, Gago was arrested on a weapons charge. Jensen told the Associated Press by email that he was booked on a charge of unlawful possession of a weapon. He was also charged with assault in 2001 and 2005. Those cases were dismissed.